Hospital malpractice includes any type of medical negligence that occurs in a hospital setting, including errors by doctors, nurses, technicians, and other hospital staff. Hospital malpractice occurs when the staff of a hospital engages in negligent medical care or treatment of a patient, which results in the patient's harm. If you are injured when receiving treatment or assistance in a hospital, you must be able to prove that your injury is a direct or proximate result of the hospital's negligence towards you. If an individual is an employee of a hospital, the institution is responsible if that employee acts in a manner that harms a patient. Such persons as nurses, medical technicians, and paramedics may be held responsible for acting negligently towards a patient, which might constitute hospital malpractice. If you or a loved one has been injured or wrongfully killed as a result of hospital malpractice, contact the experienced Boston medical malpractice lawyers at Bellotti Law Group, P.C. today for a FREE consultation at 617-225-2100. 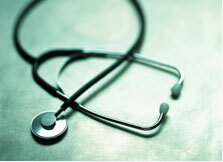 Our attorneys have successfully handled hundreds of medical malpractice cases over the years. Our reputation often leads to a satisfactory settlement, but when you are not offered what you deserve, we are meticulously prepared to fight for your in court, hiring the best medical experts, if necessary, to testify on your behalf. Not every failure of treatment or a specific procedure is a result of hospital malpractice. Doctors and hospital staff do everything they can for a patient and an individual may still suffer pain or unfortunately pass away. However, if a you or a loved one believer that you have been harmed due to a hospital malpractice, contact the Boston medical malpractice attorneys at Bellotti Law Group, P.C. today at 617-225-2100 to discuss your options. Put our decades of experience and success in medical malpractice to work for you.